Our company with its past several years of supreme quality services has gained enough expertise in this line of work and is now also manufacturing, supplying and exporting these top quality Cycle & Rickshaw Tyres in different parts of the country and abroad. These Cycle & Rickshaw Tyres are made up of very tough and tensile quality raw materials at our company and is widely being used and demanded by our clients in the market. 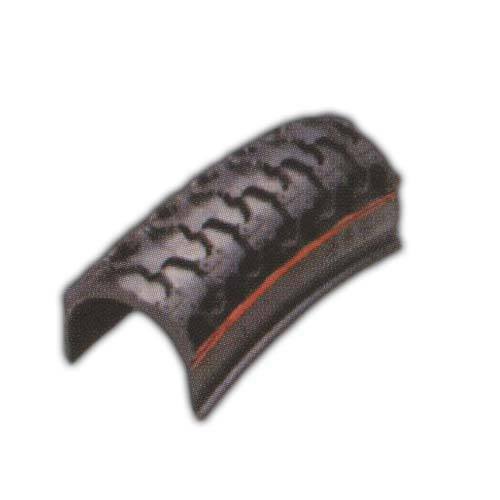 These Cycle & Rickshaw Tyres can be obtained at our company at very conventional range of prices. With a immense industry experience, we have established ourselves as a trustworthy manufacturer, exporter and supplier of Tyres. This range of tyres offered by us comprises Cycle & Rickshaw Tyres, Adventure Tyres, Industrial Tyres, Jeep & Van Tyres, Passenger Car Tyres and Farm & Agriculture Tyres. In addition to this, we offer LCV Tyre, Two & Three Wheelers Tyres. Our tyres are manufactured using superior quality material, procured from the reliable and certified vendors of the market. We make sure that the tyres delivered to the clients are in compliance with international standards of quality. We follow total quality management system in our organization. To implement this, we have appointed a highly dedicated team of professionals, which is well-cognizant with the intricacies of this domain. Our professionals make use of latest tools and machines that are installed at our manufacturing unit. Before delivering final consignments to clients, our entire range is tested on several quality parameters for assuring flawlessness. Being available in a large variety of shapes and sizes, these tyres are used in many light, medium and heavy duty applications.